Congratulations to Susan Barker for recently retiring after more than 25 years of continuous service. Susan was originally hired in 1991 as a Health, Safety and Environmental Assistant. 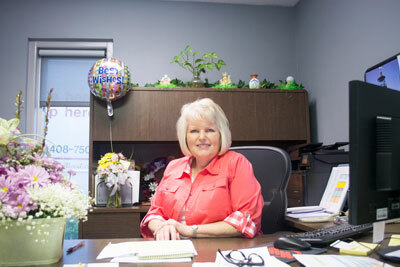 In 1994, she became the Administrative Assistant for the Plant Manager. Her experience in plant operations allowed her to fulfill the position of Human Resources Assistant when that role became available in 1997, which also propelled her into her most recent position, Human Resources Generalist. As a special addition to her retirement celebration, Jean Henke (Retired-Chatfield) from Strongwell Chatfield drove from Minnesota to make a special appearance with a hand-crafted quilt presented and showcased at Susan’s retirement event.